NEWS Archives... Click HERE for the latest news! A second regional Zenair representative for Spain opens in Spring 2010. 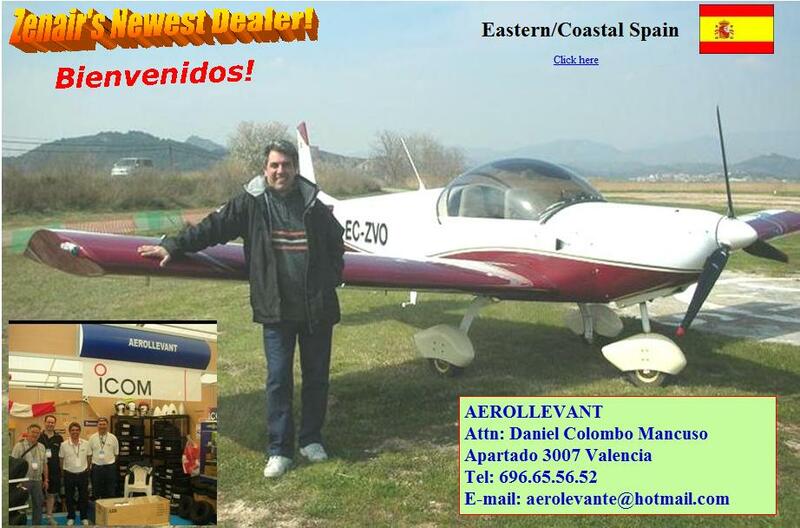 Headed by Daniel Mancuso of AeroLevante, a ULM parts and service center near Valencia: Ultralight operations are based at the ULM club of La Llosa. CH 601 XL Airworthiness: Countries begin to lift temporary operating limits after Zenair demonstrates aircraft meets standards. NEW Owners’ Registration Program introduced - All European Zenair Owners asked to sign up; registration is free! BLOIS 2009: Another strong Zenair presence at this international gathering of Ultralight enthusiasts. Tannkosh 2008: We visit this well-organized annual event in Germany and find over a dozen Zenairs on the flight-line!